Valintine’s life legacy service will take place Saturday, April 6, 2019 at 8:00am at Colonial Funeral Home, 86 Circular Avenue, Hamden, CT. Interment will follow in the family plot at Centerville Cemetery. Viewing will occur, Friday, April 5, 2019, from 5-9pm at Colonial Funeral Home. 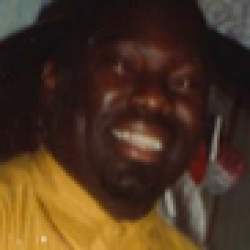 Valintine D. Moore Sr., 61, of Hamden, CT entered eternal life on March 20, 2019 in the comfort of his home. He was born March 18, 1958 in Jamaica to Eulalee and late Louis Moore, beloved life-partner of Nadian (Edmon) Moore, and cherished father of Valintine D. Moore Jr. and Shereen M. Moore and two loving grandsons. Valintine is survived by five sisters and two brothers as well as a host of nieces and nephews.